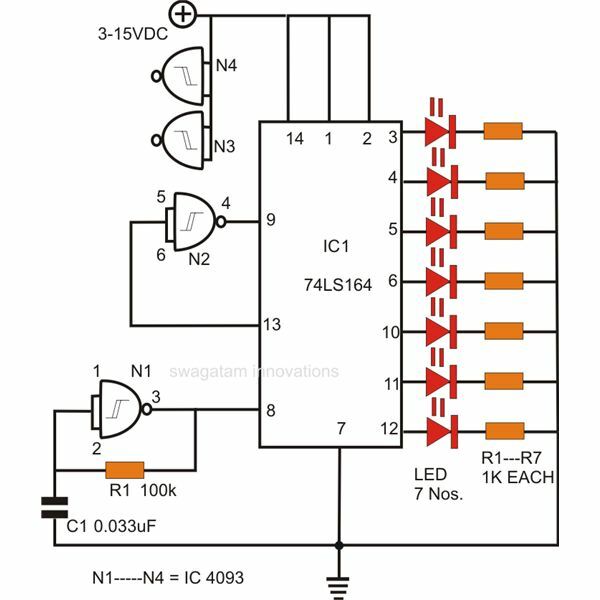 If you are wondering how to make an LED moving sign (DIY), then probably you would like to refer to a few of the circuit designs already published here on Bright Hub. 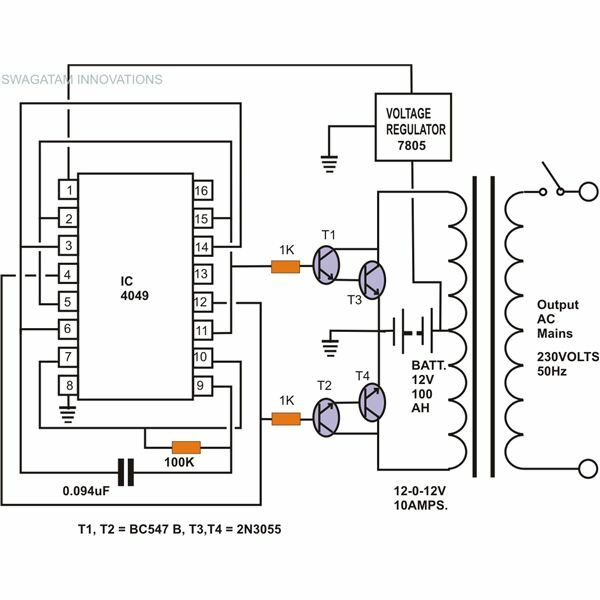 You can make it simply by using a transistor multivibrator circuit, or a light chaser circuit using the IC 4017. A more sophisticated design in the form of a scrolling display has also been recently discussed through one of my articles. 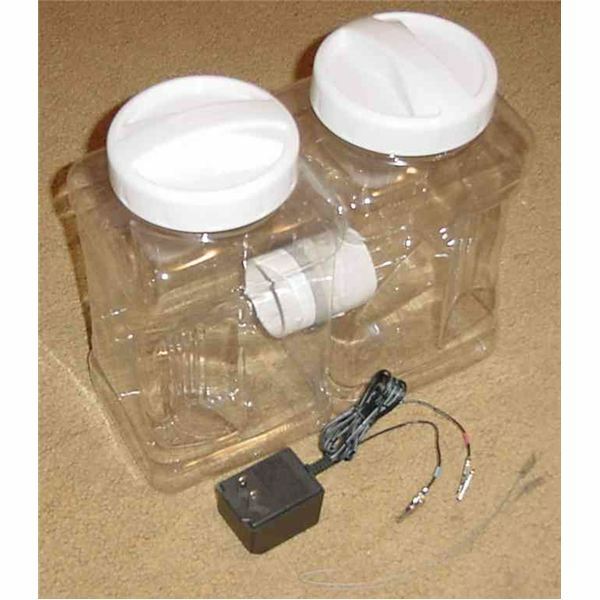 However the above circuits are either too basic and ordinary or too complex and difficult with their designs. Another similar IC 74LS164, whose pin-out details was very recently discussed in one of my articles promises a more interesting configuration of a moving LED sign which will be surely appreciated by you. 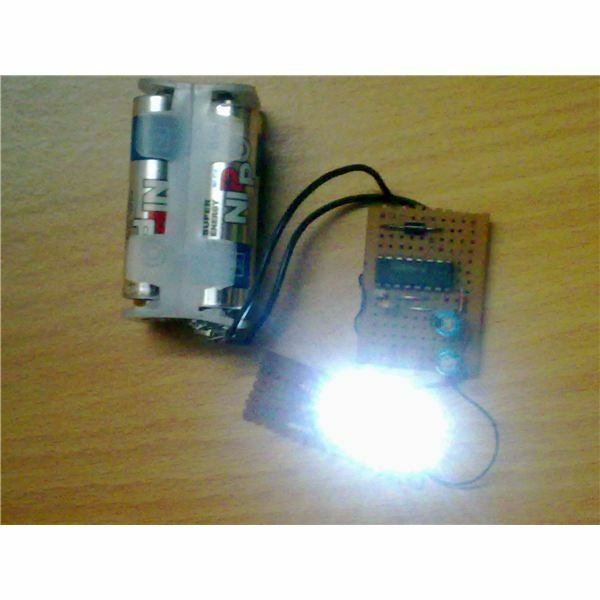 The circuit presented here using the above IC is able to produce a lighting pattern with the connected LEDs perfectly imitating a gradually forming word or a sentence. Although the circuit cannot produce the feel of a scrolling effect, never-the-less the gradual switching of the designated alphabets in succession can easily make an audience spell bound. The circuit is better understood the the following discussion. 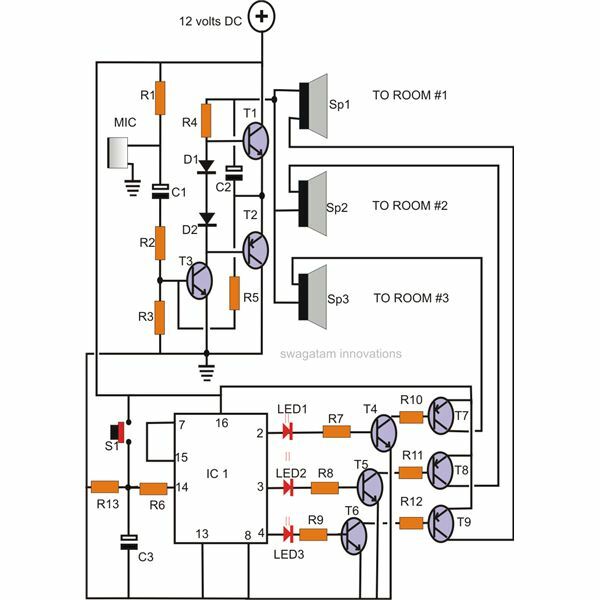 As previously mentioned, the IC 74LS164 is an 8-bit synchronous shift register able to produce 8 serially incrementing logic high outputs in response to an applied clock signal. 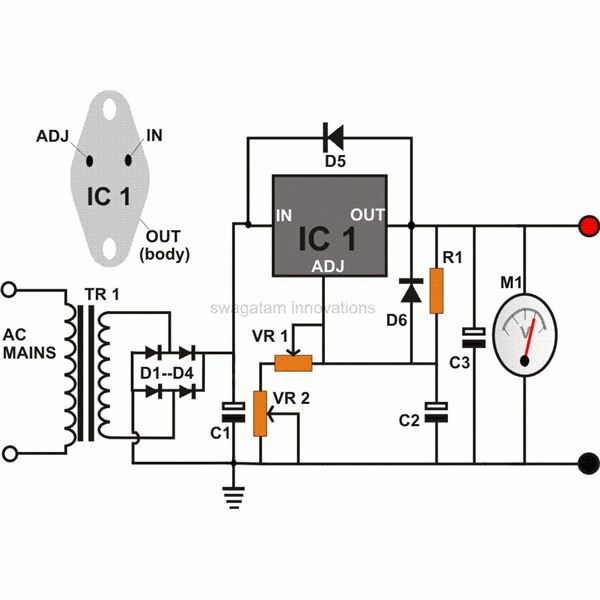 The circuit can be operated in two different modes, each producing two different restoration patterns immediately after all the outputs of the IC go high. 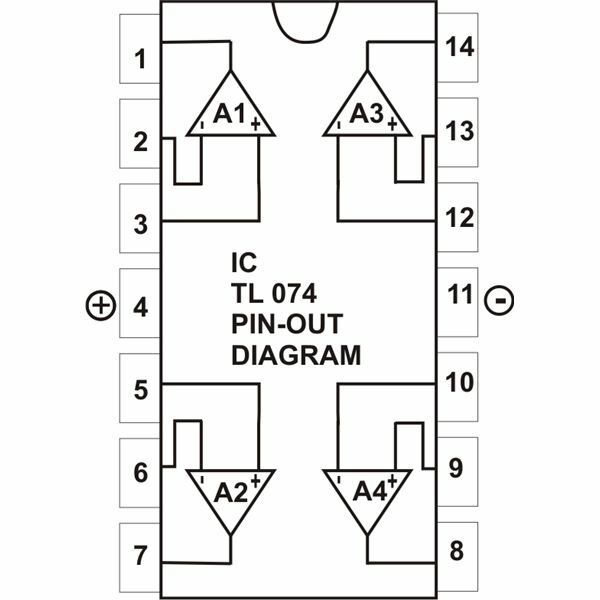 Referring to the above figure, we see that the serial inputs pin #1 and pin #2 of the IC are connected to the positive supply. This configuration inhibits its intended utility (which will be discussed in the second mode of operation) and renders it ineffective. The reset pin #9 is kept at logic high via N2’s output whose input is grounded initially via pin #13 of the IC. When all the outputs go high, pin #13 also ultimately goes high and resets pin #9. However, resetting the circuit in the above manner also means that all the LED characters connected to the outputs switch OFF suddenly in a flash, producing a rather abrupt end to the sequence, but when looking at the relevant simplicity of the wiring, some won’t feel that anything wrong with this operation. Referring to the second diagram we find that the output of N2 has been replaced by the serial inputs of the IC while the reset input is permanently connected to the positive supply. In this mode the moment pin #13 goes high – N2’s output goes low, switching the serial input into action. Now interestingly, instead of shutting down all the LEDs suddenly, each one goes OFF one after the other serially, just as they had been lit, but now in the opposite way. Once the whole sequence extinguishes, the cycle repeats and we witness an alternating lighting sequence of the LEDs. 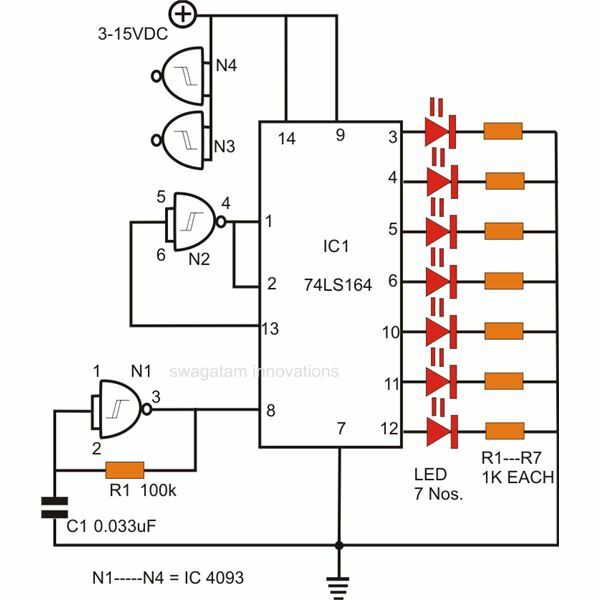 The gate N1 along with R1 and C1 forms a simple clock generator and feeds the circuit with the required clock pulses for initiating the above explained patterns. “How to make an LED moving sign” would be incomplete unless the connected LEDs defined certain information, so instead of connecting single LEDs, each output channel of the IC may be integrated to a group of LEDs designed to form certain alphabet characters or digits, and the whole array could resemble a particular word or number. Powering the circuit would thus initiate the each character appearing one after another in sequence until the whole word or a number is formed – very enchantingly.